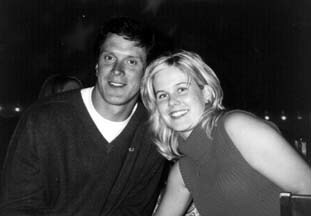 I'd forgotten all about Drew Bledsoe during my tireless research for yesterday's post about NFL Quarterbacks' wives. I think this is Drew Bledsoe's wife, Maura. I know this is not his website, but it's absolutely brilliant.